The action of opening and closing your mouth is made possible by the complexity of the temporomandibular joint, or TMJ. This action that we enjoy every day with very little thought is accomplished by one of the most complex joints in your body. When you have problems with this member of the body, it is called temporomandibular joint and muscle disorder, otherwise known as TMJ or TMJD. 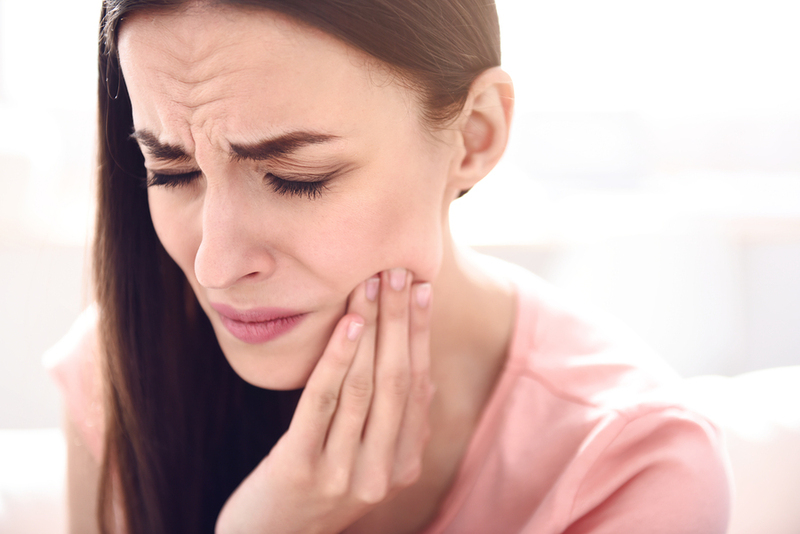 These conditions can be very painful because of dysfunction in the jaw joints themselves or problems in the muscles that make it possible for the jaw to move. The unique qualities of TMJ are due to its design and function. The mandible, or lower part of your jaw, has rounded ends on each side called condyles. These condyles work together with the temporal bone which is a working part of your skull. Between each of these joints is a disc of soft cartilage. These discs act very similar to the discs in your spine, absorbing much of the shock caused by chewing and other jaw movements. The unique design of the TMJ makes it possible for the mouth to hinge open and close, as well as glide from side to so that you can talk, chew, yawn, and more. Where Does TMJ Disorder Originate? You may only have one of these problems, or you could have a combination of two or more of these conditions. Very often in cases of TMJ disorders, the person also suffers from other health difficulties like chronic fatigue syndrome, fibromyalgia, or other sleep disturbances. To complicated matters even more, TMJ symptoms can be elusive, coming and going, causing a delay in being able to find proper treatment. To learn more about the connection between head and neck injuries and TMJ download our complimentary e-book by clicking the image below. What makes such a variety of symptoms possible is that the TMJ on either side of your face is located in close proximity to multiple other related structures. The jaw joints are very close to the inner ear as well as to the upper cervical (upper neck) area of the spine. This area of the body includes an extensive amount of nerves that are in charge of the movement of the jaw and the sensation to the jaw and face. If you are having any of these common symptoms, it could be an indicator that you have a TMJ disorder. Try not to clench or tense your jaw. Incorporating relaxation or stress-reducing techniques may help. Eat soft foods to reduce the strain on jaw muscles. Encourage relaxation of the jaw muscles with moist heat. Avoid extreme jaw movements when yawning, talking or chewing. Given the fact that neck pain is so very common and is a consistent symptom for people with TMJD, it seems sensible that by addressing underlying neck issues, it could bring some relief for TMJD sufferers. Upper cervical chiropractors specialize in the adjusting and the health of the uppermost bones in the spine – your atlas (C1) and axis (C2). This is a very valuable specialization within the chiropractic profession due to the unique qualities of this area of your spine. It is entirely different from the rest of the vertebrae. Therefore, it requires a very specific approach so that it is corrected properly. Every one of these is detrimental and can contribute to poor jaw function. The proximity of these vertebrae to the TMJ’s, means that even a small misalignment can change the way that the jaw moves, leading to pain in the face, neck, ears, as well as the jaw itself. If an upper cervical misalignment is what is behind your TMJ trouble, then it needs to be addressed for you to be able to experience long-term relief. A complimentary consultation at Symmetry Health Chiropractic Center is the beginning of identifying whether an upper cervical problem is contributing to your TMJ disorder. If you have any history of an accident or injury to the head or neck, the chances of an atlas misalignment being a part of the TMJ equation is much higher. We always perform a detailed analysis to measure any misalignments present, prior to doing any kind of adjusting. The reason for this is that we provide the most precise adjustment possible so that normal upper cervical alignment is restored. This correction is gentle, relieving any pressure on other soft tissues and nerves so that your body’s natural healing process can happen optimally. If you are tired of suffering from a TMJ disorder because you have not found anything that brings you lasting relief, then an upper cervical chiropractic approach could be the very thing you’ve been looking for. To schedule a complimentary consultation call our Cedar Park, TX office at 512-331-7422 You can also click the button below.